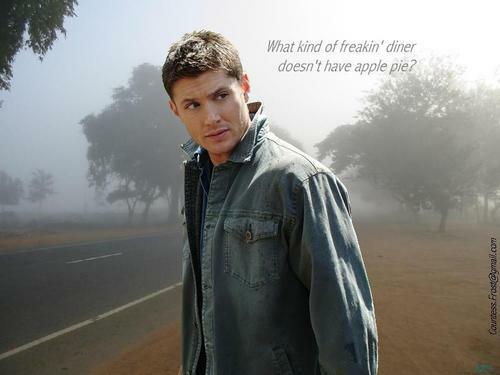 freakin' diner.... "freakin' diner..." - a Dean Winchester fond d’écran created par TheCountess. HD Wallpaper and background images in the Supernatural club tagged: supernatural tv show dean winchester jensen ackles paranormal hunter fan art wallpaper thecountess. This Supernatural wallpaper might contain overgarment, vêtement extérieur, vêtement, vêtements de plein air, survêtements, vêtements de dessus, vêtements d’extérieur, and overclothes.